Keyboard amps are, as you’d imagine, ideal for keyboards. What the name doesn’t tell you is that their usefulness goes beyond just keyboards. Here’s what we cover in this article. A keyboard amp is a powered amplifier and speaker in one box that’s designed to handle the wide range of frequencies a keyboard produces. As briefly mentioned, they’re not limited to keyboards. If you try to run a microphone through a guitar amp, you’ll quickly run into problems as it won’t be able to handle the frequency range you would need it to. In fact, a guitar amp is terrible for pretty much anything except a guitar. Keyboard amps, on the other hand, are the opposite. Since keyboard players tend to run all kinds of different patches and software synths at just about any octave, the amps they use need to be able to take just about anything you throw at them. This makes them the perfect ‘all-in-one’ amp for not only a keyboard but even guitar. They typically produce an extremely clean, transparent sound. As well as being able to handle a wide range of frequencies, these amps don’t alter the frequencies which go through them either. There are no overdrive/distortion effects when you turn the volume up on these amps, and there is no clipping of high or low frequencies like you find on guitar and bass amps. This is excellent for intimate vocals and for cutting through with softer sounds. Because of the high range of frequencies they handle – compared to a guitar amp, which dulls abnormal frequencies – they’re incredibly versatile. You can run microphones, vocals, electronic drums, even a PA through one. Of course, you wouldn’t want to use one as an alternative to a PA system onstage, but for rehearsing it doubles up as an excellent, inexpensive option. They’re a lot lighter and easier to transport than PA systems – and almost always easier than combo amps. This makes them easier to chuck into the back of a van and to set up in a short amount of time. Most keyboard amps have just one amplifier and one speaker. They’re joined together and, although there are multiple inputs, there’s just one speaker which all of the sounds go through. 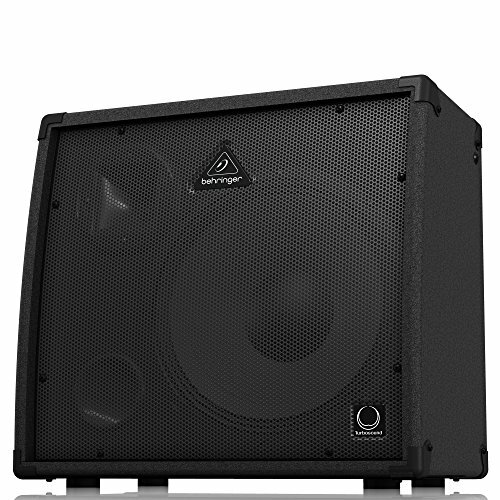 These systems sometimes have the option of adding extra speakers, e.g., subwoofers, to boost your lower tones, but generally, they’re all-in-one, simple devices that are (sometimes) heavy but easier to carry around than separate head-and-cabs. Bi-amped systems, on the other hand, are keyboard amplifiers which use more than one amp to control more than one speaker. Often, there is an extra speaker included in the device that specializes in low or high-frequency sounds, and an amp which controls those also. 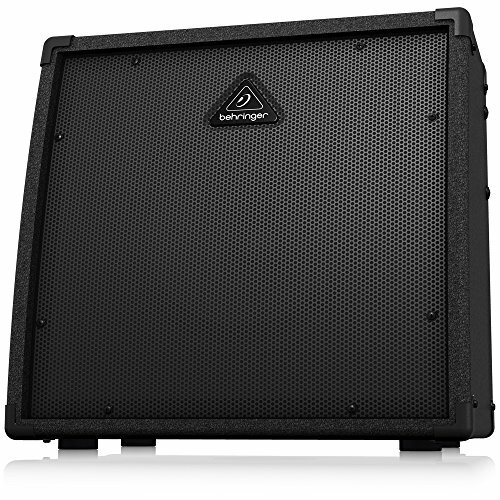 If you’re looking for something that isn’t going to leave your rehearsal space, or perhaps a few intimate gigs, 15-30 watts should suffice. 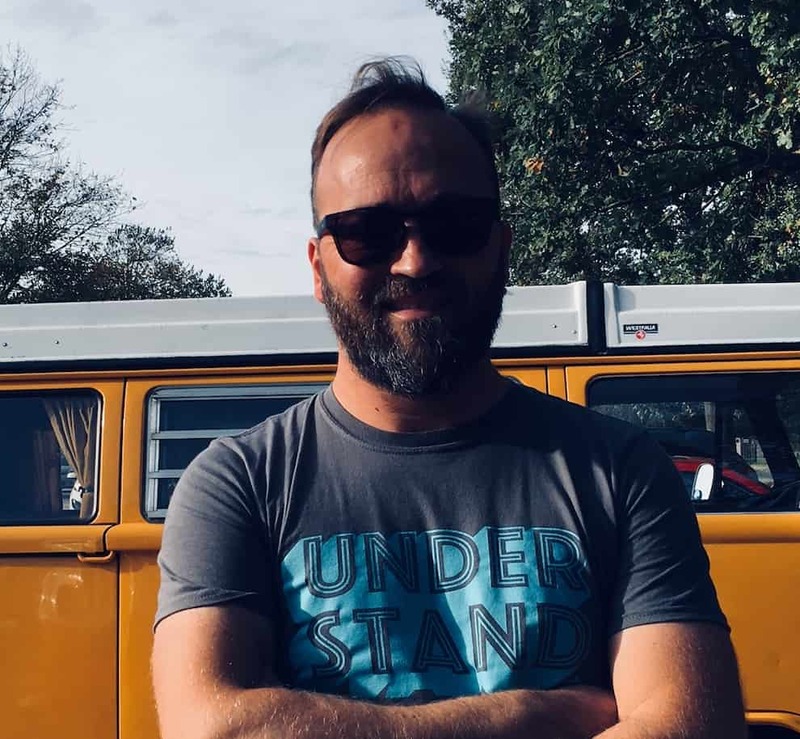 If you need something that’s appropriate for 500+ capacity venues, you’re going to be looking at 100+ watts if you want to get a decent amount of power. Of course, this isn’t a set rule, and some lower wattage amps kick out an enormous sound, but generally, the larger the wattage, the more noise the amp will make. Most have at least two XLR inputs. This allows you to plug in more than one instrument at a time or even a microphone as well as an instrument. It’s excellent for singer-songwriters, or for keyboardists who use a combination of keyboards during their performances. EQ settings adjust the high, mid and low frequencies of your signal. Some amps have 2-band EQ, which is just high and low, while some have as many as 7. These settings allow you to fine tune your tone and boost the frequencies which need to come out more in the mix. It’s an essential tool for those with a keen ear for tone and for those considering using these amps in a live situation. Built-in effects are a feature on some keyboard amps. These often include delay, reverb, chorus, and tremolo. These effects allow you to alter your sound and make it more exciting for a live performance. They add depth to your instrument and convert a thin sound into a full one. They’re great tools for the creative musician and very handy on stage. Amps with built-in effects are also sometimes footswitch compatible which makes them really performance friendly. Footswitches allow you to flick between different effects and settings without fiddling with the knobs, and often the difference between a professional-looking performance and an amateur one. They’re a must-have for those who want to utilize their amp’s built-in effects during a performance. Some low-end amps only have a headphone output, which is fine for practice purposes, but higher end models often have multiple outputs. 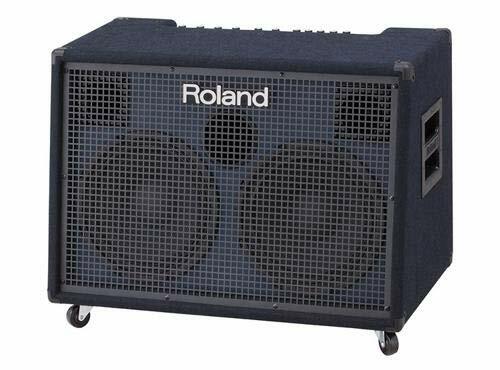 This allows for extra amplification at bigger gigs and can be used in a recording process. They’re a must-have for musicians who are serious about gigging with their amplifier in bigger venues, and don’t want their amps to need to be mic’d up. The Behringer Ultratone KT108 is a 15-watt keyboard amp with two channels, so you’re able to practice on more than one instrument, and there’s also an aux input which enables you to play along with a backing track. The two channels share a three-band EQ which let you fine-tune your tone, and there’s a headphone output, so you’re able to practice silently. It doesn’t have an XLR input, so it will be less suitable for plugging microphones into, and the inputs are both mono which does limit your mixing options. Who’s it best suited to? The Behringer Ultratone KT108 is perfect for those who want something to plug their keyboard, electric drum kit or another instrument through at home. It will be less suited for those who want to go out gigging or to connect a microphone into it. Two channels, which share three band EQ settings. There’s an aux input, which lets you play along with a backing track. There’s a headphone output for silent practice. Mono inputs on both channels, which limits your mixing options. No XLR inputs, and no outputs except for headphones. There’s no EQ control for each channel, so you have to adjust them both simultaneously. 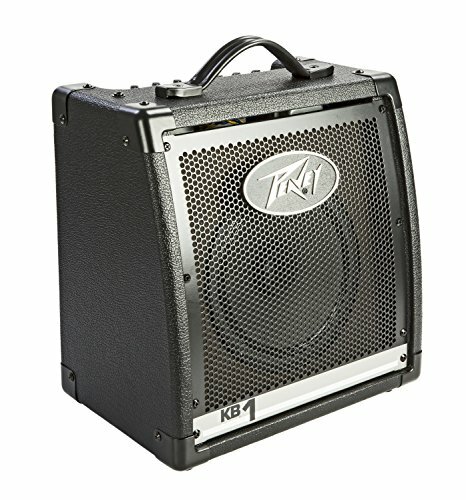 The Peavey KB 1 also has two channels, but there is two-band EQ for each channel, which gives you exceptional controllability. Neither of these channels has XLRs, so it’s not ideal for plugging a microphone into, but it’s perfect for amplifying two instruments of different frequencies. There’s also no AUX input, so it will be less easy to play to a backing track, but there is a headphone output, so you’re able to practice silently. It’s lightweight, at 7.9kg so that you can carry it to rehearsal or around your house no problem. It will be perfect for those who might want to mic-up two separate instruments with different sounds. It will be less suited to singers, or those who require an AUX input to plug their phones or similar into. Two channels and 2-band EQ per channel gives you controllability over your channels. Lightweight at 7.9kg, so it’s easy to carry to rehearsal. The EQ is only 2-band, limiting your mixing options. The Behringer Ultratone K450FX is a ‘bi-amping’ unit that’s exceptional value for money. It has an XLR input, which lets you plug a microphone in, and there’s a CD input to practice with backing tracks. What makes it stand out is its presets effects, which include – but aren’t limited to – reverb, delay, flanger and pitch shifter. You can have a lot of fun with this product, and achieve some truly creative sounds. It also has a 5-band graphic EQ, which gives it superior controllability and there’s an FX send for each of the three channels. It’s perfect for musicians who like to adapt the raw sound of their keyboard and vocals and has an outstanding amount of features considering its affordability. It will be less suited to those who want something more simple or for those looking for something bigger and louder than 45 watts. XLR input to cater for a microphone and CD input to play along with backing tracks. Lots of pre-set effects including reverb, delay, and pitch-shifter. The channels don’t have separate EQ settings. Slightly gimmicky effects and likely to prove surplus to requirements. The Behringer KXD12 has an XLR input so that you can plug a microphone in as well as three other inputs, and there’s an AUX input allowing you to play with backing tracks. There’s also a 7-band graphic EQ, that lets you finetune your tone, but the EQ is not separate for each channel. There is an FX send for each different channel, which allows you to use the built-in effects differently with each input. 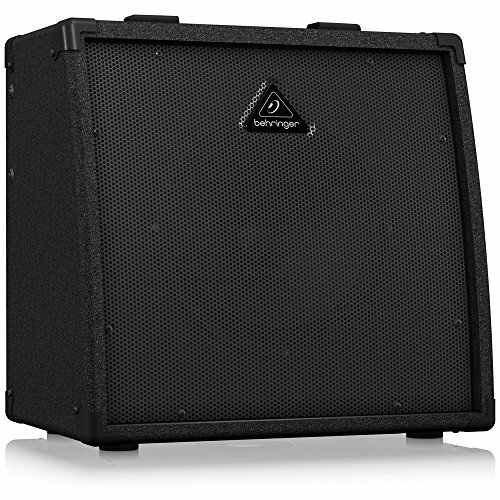 The KXD12 includes a subwoofer, which makes it especially suited to electronic drum kits, bass guitars or keyboardists who use a lot of bass notes. It’s quite large, so it might be less suited to those who just want something for practice purposes. XLR input to cater for a microphone and AUX input. Includes a subwoofer which is great for low-end power. 7-band graphic EQ and lots of presets give you excellent mixing control. Four channels, with a volume and FX, send per channel. The sound isn’t as transparent as on some others. It’s quieter than you’d expect for a 600W. 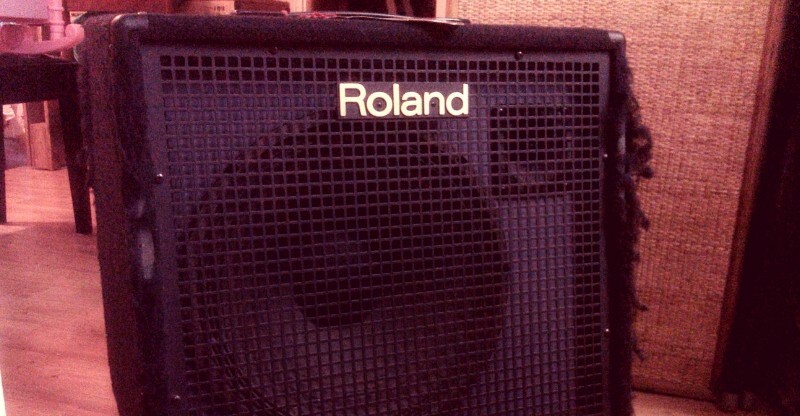 The Roland KC400 is a lightweight amplifier with four channels. Each of the channels has its own volume control, which lets you do some mixing before the sound’s released. As well as jack inputs there is an XLR input and an AUX input – these allow you to plug a microphone in, as well as to plug a phone or similar in to play a backing track. Because it’s 150 Watts (so perfect for gigging in small-mid sized venues) it doesn’t weigh a lot. It’s perfect for those who need something that’s easy to transport, that will work to amplify their keyboard, electronic drum kit, theremin or similar. It will be less suited to those looking for something smaller to practice with, or for people who require different EQ settings for the various channels. Four channels with volume control for each. AUX in for playing along with backing tracks and XLR input for a microphone. No separate EQ settings for different channels. The results of the ‘shape’ button are a bit hard to predict. 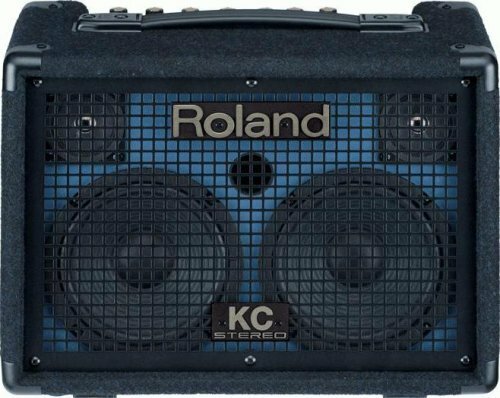 The Roland KC-990 is excellent for professional use, and it’s the only one on this list that’s footswitch compatible. It is a 330 Watt amp which has one amp and four channels, each of which has its own volume and effects controls – plus there are built-in chorus, reverb and tremolo effects. Each of these effects can be controlled using a footswitch, making it excellent for on-stage use. There’s an AUX in, for playing along with a backing track or attach monitors on stage, and there’s also a subwoofer output, should you need to boost your low-end sounds. It has a 3-band EQ, for controlling your tone easily. Best suited to the professional keyboardist who may need to trigger effects and boost low-end sounds via additional subwoofers. It will be less suited to those looking for a simple practice amp, or to musicians looking for superior controllability via a 5 or more band EQ. Four channels, with volume and effects controls for each. Built-in chorus, reverb, and tremolo (controllable with a footswitch). Aux in for backing tracks and/or monitors. There isn’t EQ for separate channels. If you’re looking for something that you can plug your keyboard into at home, with perhaps one other instrument, the Behringer Ultratone KT108 or the Peavey KB 1 will be well suited to your requirements. The Behringer also has an AUX input, so you can plug in your phone or iPad to play along with backing tracks, and a headphone socket for silent practice. The Peavey as a headphone socket also, but no AUX input. What it does have in its favor is extra controllability via separate EQ controls for each input. If you’re looking for something a bit bigger, with built-in effects, you’ll be impressed by the Behringer Ultratone K450FX. It has chorus, reverb, flanger and more and also has an XLR input so you can sing through it. Additionally, it has a bi-amping system which allows high-end frequencies to really cut through. The Behringer KXD12 also has built-in effects and benefits from a 7-band graphic EQ which really allows you to control your tone. This EQ is for the overall output, rather than per input, but can offer an excellent amount of control for those who are only putting one or two very similar instruments through the amp. 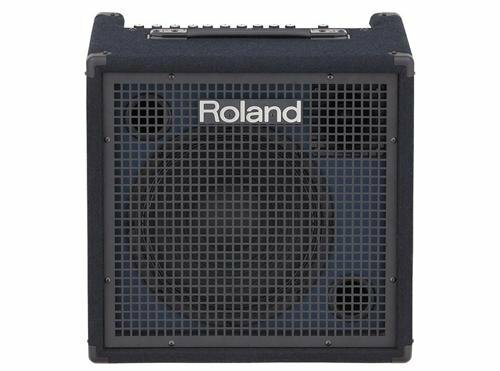 Those looking for an amp that they can take out gigging with them will do best with the Roland KC-400 or the Roland KC-990. 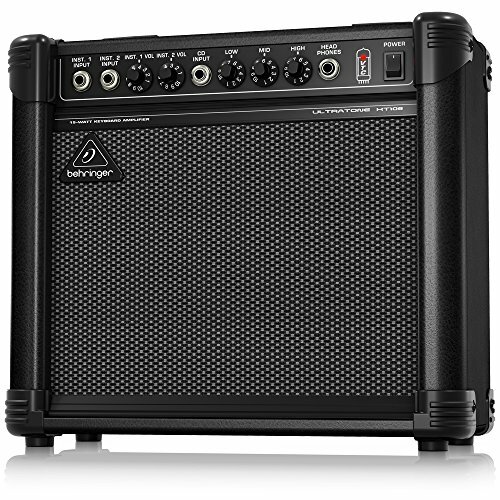 The KC-400 is 150W which is incredibly lightweight considering its power and has four inputs including an XLR input. The KC-990 is 330 watts also has four inputs and also benefits from built-in effects, which can be controlled using a footswitch, plus the option of a subwoofer output should you need to boost your bass. Whichever amp you decide is the right one for you, we hope that our research has helped you to find out.